Join us for the 2019 Walk & 5k Run! Bigger and better than ever! 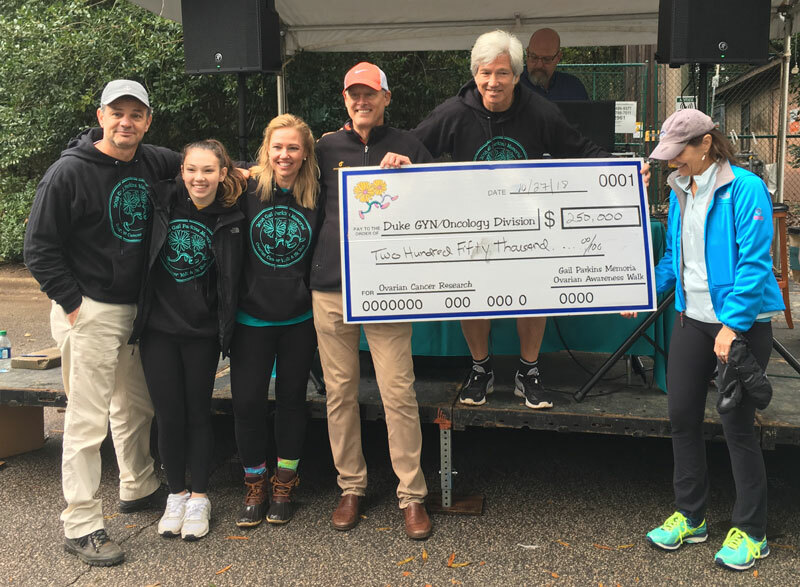 Funds raised by the Ovarian Awareness Event activities are used to support ovarian cancer research at Duke University Medical Center. The Wall of Honor is our way of honoring your loved ones. Bring memoirs on event day to display on the "Wall of Honor," a celebration of life and love. We welcome photographs or stories about loved ones who have been touched by ovarian cancer. Although many participate as individuals or families, just as many form fundraising teams who come together to celebrate life, remember and honor loved ones, and raise money for research . Build a team of extended family, friends, colleagues, classmates anyone you can think of! Wow! What a great event! With your help, we raised over $250k! !